Enjoy a tropical experience on the stateside shores of the Gulf of Mexico. Gulf Shores has fine white sands and warm Gulf waters for you to pull a beach chair up to and enjoy. When you think vacation do you think hot tubs, whirlpools, spas, private balconies, tennis, and on-site dining? 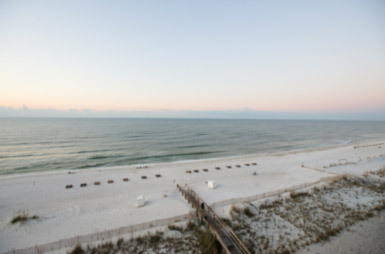 Our Gulf Shores rentals let you really escape the day to day. 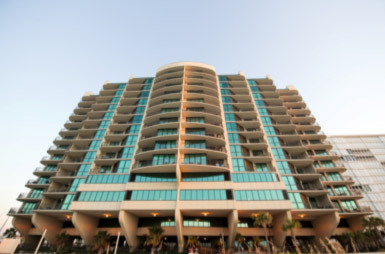 For family vacations Gulf Shores condos can't be beat. Space for everyone to stretch out, big kitchens, multiple TV/DVDs, couches, and of course, multiple bathrooms, keep everyone happy at great prices on the Alabama Gulf Coast. Water slides, lazy rivers, hot tubs, indoor pools, outdoor pools - and that's just what is available at our resorts. 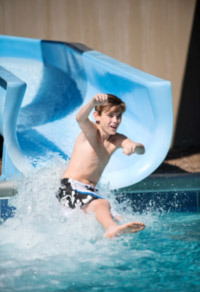 Head over to Waterville USA for the ultimate water park experience. Not only are our beaches some of the cleanest in America, they offer plenty of excitement. Bodysurf, boogie board, parasailing, beach volleyball and even that old standby, swimming...jump into all of it on the Gulf Coast. 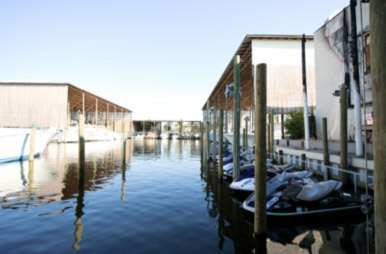 From the docks of Gulf Shores you can launch many an adventure. Deep sea fish in the waters that host the Alabama Deep Sea Fishing Rodeo, all the way into November. Catch king mackerel, red snapper, sharks, bluefish, blue marlin and more at various points in the season, from your own boat or one of our many charters. Or go on a dolphin sighting expedition, or fire up a jet-ski to cruise around the coast. 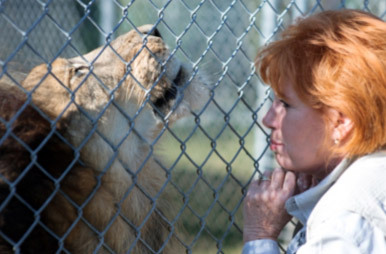 Our "Little Zoo That Could" offers a more intimate experience with animals than other zoos do. Tiger and Kangaroo encounters let kids see baby animals up close (provided cubs and joeys are on the premises), and the Lemur Playhouse and Reptile Garden let visitors play with the animals. Gulf Shores is the perfect mixture of relaxing getaway and fun beach town. 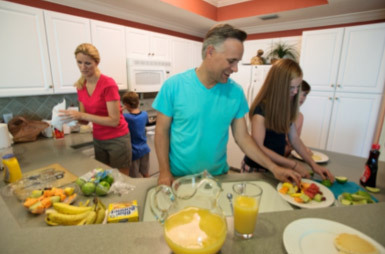 Restaurants, shopping, and amusement parks are all in abundant supply, but our rental condos provide plenty of space so you can wind down your day in a relaxing and private setting. 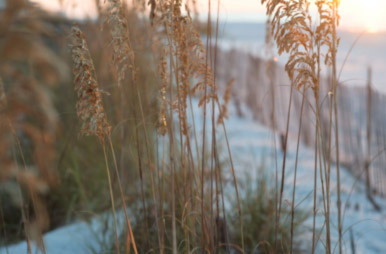 If you're looking for a romantic getaway, Gulf Shores, Alabama provides everything you need. Avoid the beach towns with Spring Break reputations and attractions and instead enjoy upscale outlet shopping, golf, fine dining, and of course our resorts' amenities. 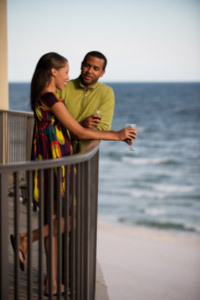 A quiet evening on your balcony is possible every night in Gulf Shores. 10. Don't Let The Sun Set On Your Summer Too Soon! 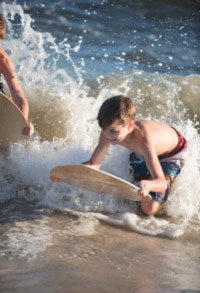 The fun lasts longer in Gulf Shores, Alabama. Our Gulf location means the water stays warmer longer, and shorts and flip flops are the preferred wardrobe well into fall. Just a few hours' drive from major cities in the Gulf region, and a little over 5 from Atlanta, Gulf Shores is your destination for long weekends all year long.